Welcome to Morgan County's website. Morgan County is located in Eastern Tennessee among the Cumberland Mountains. This wonderful place we call home is rich in heritage, history, and beauty beyond compare. From Frozen Head State Park to the Obed Wild & Scenic River, from Historic Rugby to Lone Mountain State Forest, you will not find a more beautiful place to live, work and visit. We are home to the Cumberland Trail State Park, Catoosa Wildlife Management Area and are neighbors to the Big South Fork National River and Recreational Area. 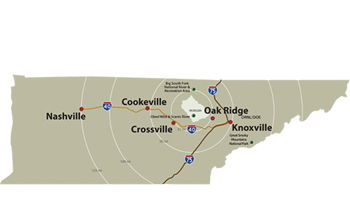 Less than one hour away from Knoxville, Oak Ridge, Crossville and we are located in close proximity to both Interstate 40 and Interstate 75. Morgan County is an easily accessible location for an adventure of a lifetime. We look forward to seeing you!